An RTV900, plus two compact tractors – the STV32 and BX2350 are used for a multitude of task around the 560 acre site including paddock cleaning, water carrying to mowing. 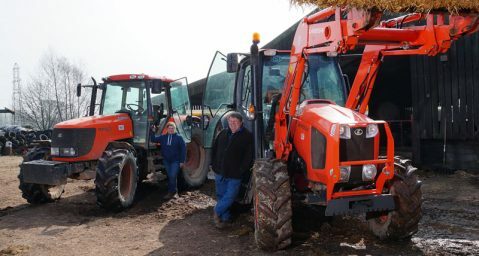 John Taylor and his grounds maintenance team at the National Stud use a trio of Kubota machines all day, everyday. An RTV900, plus two compact tractors – the STV32 and BX2350 are used for a multitude of task around the 560 acre site including paddock cleaning, water carrying to mowing. “We have to ensure our grounds are well presented all year round, with over 25,000 visitors each year not to mention our stud customers from breeders to top trainers that use our world class thoroughbred breeding facilities.” commented MD Brian O’Rourke. 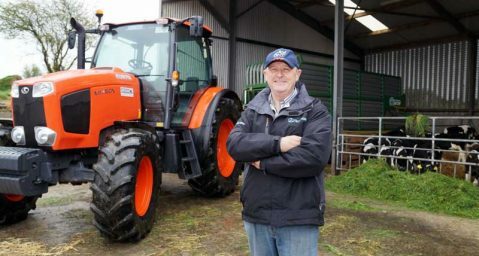 In addition, the next generation of stud managers are offered ‘hands on’ practical experience with the Kubota tractors as part of the industry renowned student training run by National Stud. Beef farmer, Barth O’ Leary rears 170 Friesian bulls from calf to finishing on a zero grazing system. 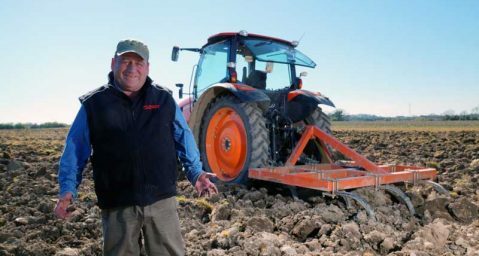 The Greet Family in Devon have run a Kubota M128X tractor for the last four years, relying on it every day for nearly every task . . .